est. 1833 by John S. Foster. renamed for company ca. 1834. Marker series. This marker is included in the William G. Pomeroy Foundation marker series. Location. 44° 18.052′ N, 75° 48.08′ W. Marker is in Redwood, New York, in Jefferson County. Marker is at the intersection of New York State Route 37 and Pine Street, on the right when traveling north on State Route 37. Touch for map. 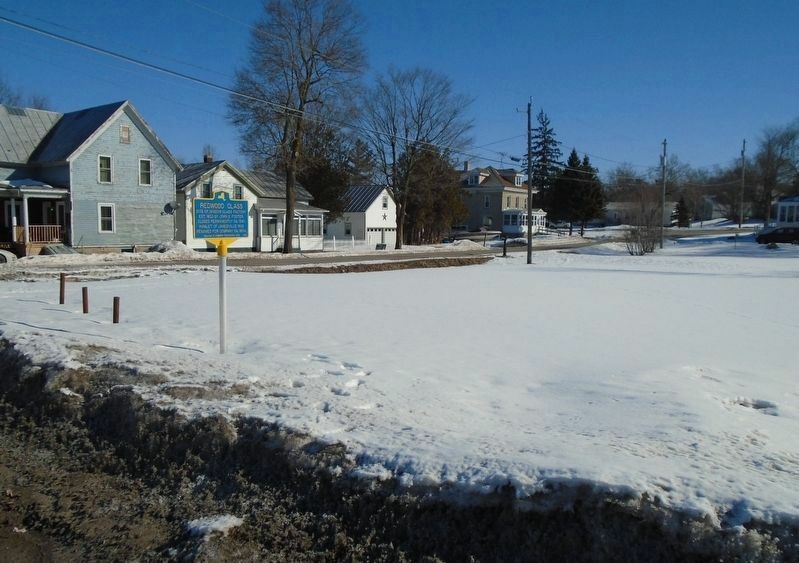 Marker is in this post office area: Redwood NY 13679, United States of America. Touch for directions. (approx. 6.2 miles away); Power House (approx. 6.7 miles away); The Seaway (approx. 6.7 miles away); Grand Entrance (approx. 6.7 miles away). More. 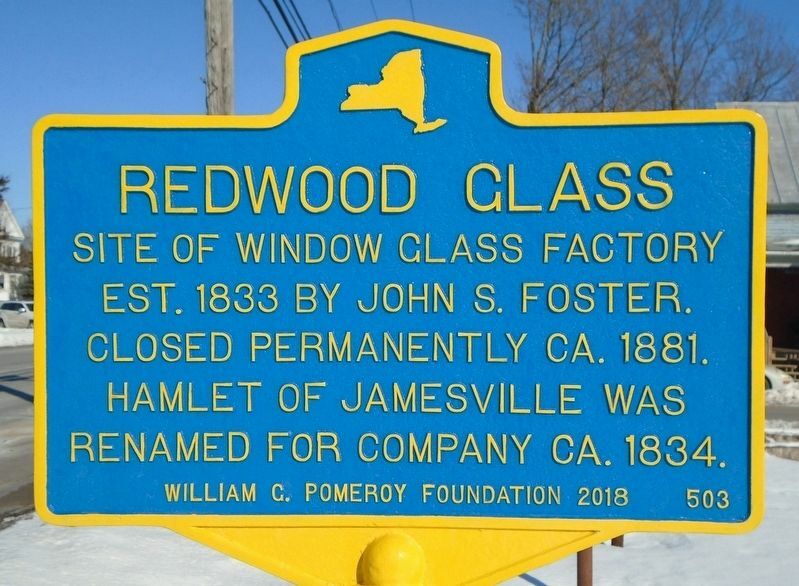 Search the internet for Redwood Glass. Credits. This page was last revised on March 12, 2019. This page originally submitted on March 12, 2019, by William Fischer, Jr. of Scranton, Pennsylvania. This page has been viewed 77 times since then. Photos: 1, 2. submitted on March 12, 2019, by William Fischer, Jr. of Scranton, Pennsylvania.